"7 SIMPLE SECRETS that you can learn RIGHT NOW to extend your pet's life..."
These 7 Secrets are QUICK, SIMPLE and You can begin DISCOVERING them today for FREE! Old "tried and true" CONVENTIONAL VETERINARY MEDICINE is NOT helping thousands of pets with a variety of conditions such as allergies, arthritis and cancer. 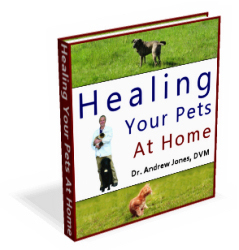 The truth is that Veterinarians have STRONGLY discouraged pet owners from treating their pets at home and the entire Pet Health Industry has a vested interest in discrediting natural pet health care. Claim your FREE e-book NOW!